card with two stencils in the set. using both stencils for a fully covered background. the critters, then finished off the card with clear sequins. the new release and leave a comment there for a chance to win a $75 prize! I am loving the fun confetti stencils!! Love the background. 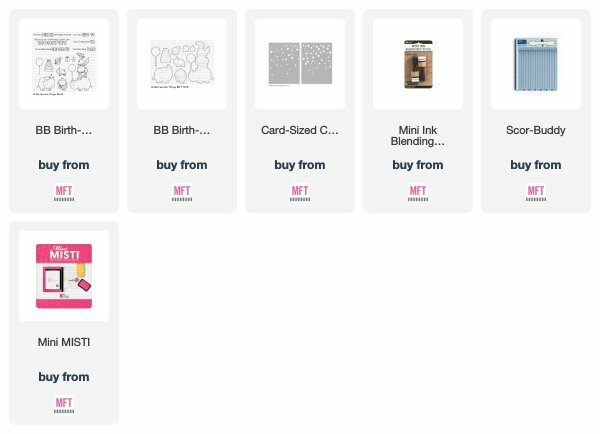 The confetti stencil is a great addition to new release. Fun background Donna. I really like the color inks you used, they don't appear on many cards. 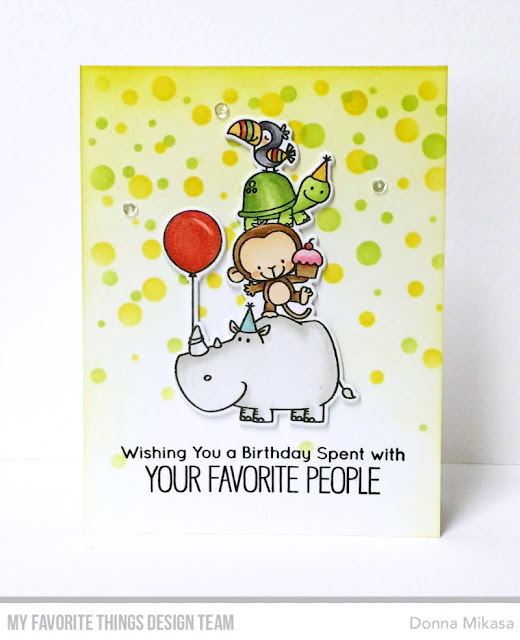 I love the confetti stencils and the sweet Birthday stamp with the stacked animals. Thanks for sharing. 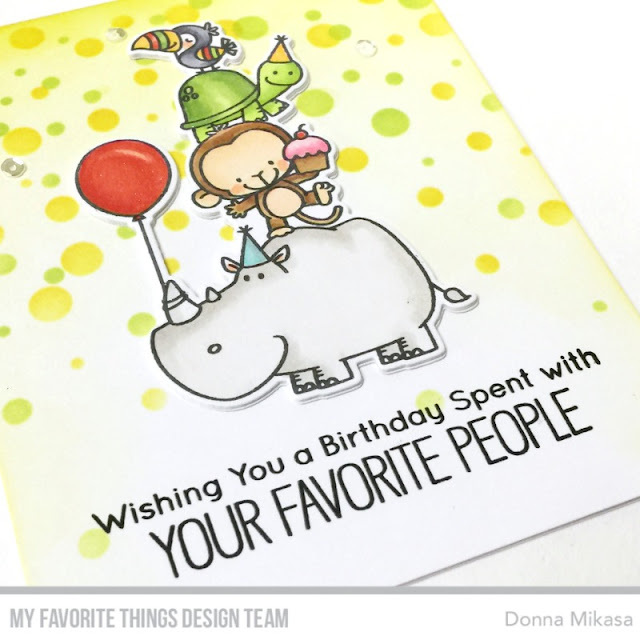 The citrusy confetti background is so refreshing and fun, Donna! The yellow ink-distressing is effective and the animals are so adorable!! I love what you did with the stencils to create your pretty background. Of course, you used the green shades which made it even better - my colors. :) Your party animals are so beautifully colored. Oh Donna, this is ADORABLE. Yeah!Let the party begin. The Confetti shows off the wonderful animal stack! I absolutely love the confetti background. It really sets your card off. This is just adorable! 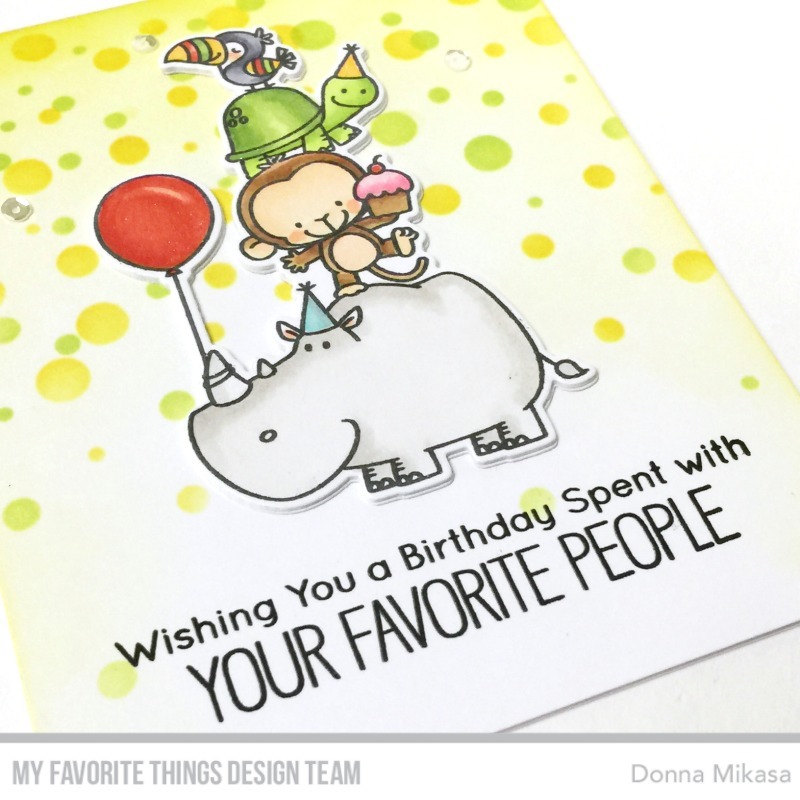 So sweet and fun, Donna! I love that background - another stencil to add to my wish list.